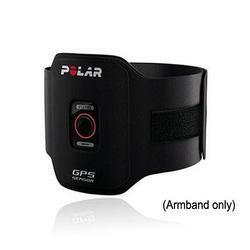 The extremely small G5 GPS sensor provides accurate speed and distance measurement for a range of outdoor sport. It is light and easy to wear in the armband pocket. After training you can see your route on a map at polarpersonaltrainer.com .